Just in time for Kamehameha Day Sunday, Reyn's has commissioned Big Island artist Dietrich Varez to create the block print for its new "King Kamehameha" shirt. 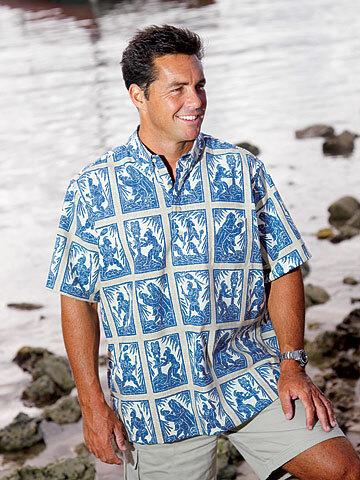 The iconic print honors Kamehameha I and his contributions to the culture and history of Hawaii. The shirts, made of the company's trademarked Spooner Kloth, are available for $69 in men's sizes in navy, green and black, and in boys' sizes for $45 in navy. They could be the perfect gift for the king in your household on Father's Day. For more information and availability, contact Reyn's Kahala Mall at 737-8313 or Reyn's Ala Moana Center at 949-5929, or go online at www.reyns.com.